A group of villagers have written to Cherwell District Council to request a by-election be held to fill the vacancy on Adderbury Parish Council following the resignation of Vice-Chairman Chris Shallis. Using the official form from Cherwell District Council, twelve villagers have requested the appointment of a new Councillor be overseen by Cherwell. In doing so existing Parish Councillors have lost the ability to choose who will fill the vacant position. The request for a by-election was submitted to Cherwell following the official notification of the vacancy on Parish Council noticeboards around the village. Three existing Parish Councillors are amongst those signing the by-election request form. Emma Faulkner from Cherwell District Council told Adderbury News, “We were notified of a resignation from Adderbury Parish Council at the end of November, and the relevant notice was provided to the Parish Clerk. This notice gave electors until Monday 17 December to submit requests for an election. On Monday 17 December we received the relevant request, which was confirmed as valid, so there will be an election process”. That election process is due to start officially this week with a Notice of Election being displayed. This will encourage those interested in standing for the Parish Council to submit nomination papers. Ms Faulkner explained the process: “The nomination period closes at 4pm on Friday 25 January, at which point if we have more than one candidate polling will go ahead … as scheduled. In the event we only have one candidate at the close of nominations, that person will be elected unopposed and there will be no need for the poll”. Should two or more nominations be received voting will take place on Thursday 21st February. A venue for the poll has yet to be agreed. The operation of a by-election comes with associated costs which must be paid by Adderbury Parish Council. If only one candidate stands a charge of £39 is made by Cherwell District Council. However, if it is necessary to hold a full vote the costs are considerably higher at £2779.52. The most recent appointment to the Council was Garrad Miller who was co-opted by other Councillors in September 2018. Mr Miller was the only person putting himself forward at the time. 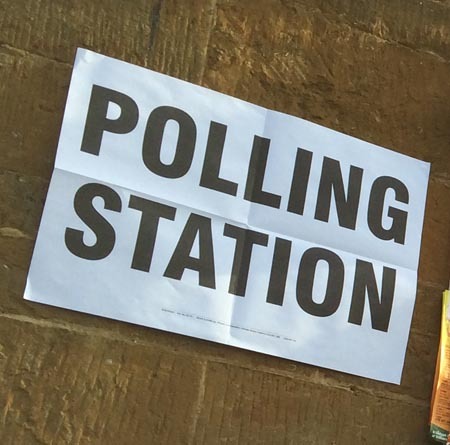 A full Parish Council election for Adderbury is scheduled to take place in 2020 when all current Councillors must re-stand should they wish to continue serving on the Parish Council. Villagers on the electoral role will be invited to vote should more than 11 people be nominated for a position on the Council. As has happened previously, should the number standing not exceed 11 no election would be held and those nominated would be elected by default. The By-Election could be one of a number of invitations for individuals to cast a vote this year, with national debate continuing as to whether a new European Referendum should be held and calls by some for a general election. In 2018 village democracy saw voting taking place twice, in both June’s Neighbourhood Plan poll and May’s District Council elections.